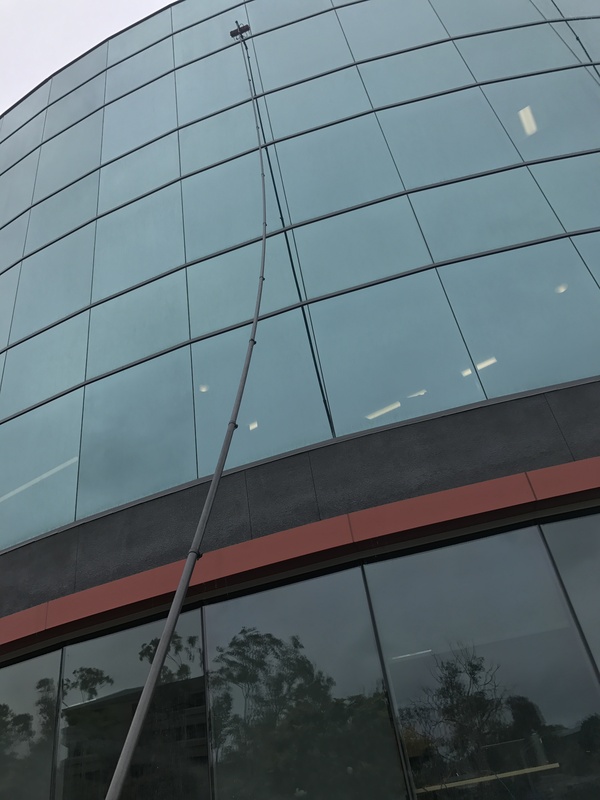 SkyClimbers Window Cleaning is a leading commercial cleaning company, which specializes in commercial window cleaning, window washing services, and residential window cleaning, hi-rise window washing and high reach. We are among a few cleaning companies hailed as top-rated commercial window cleaning companies in San Diego. With expertise and high-end equipment, we have set new standards for quality cleaning for commercial establishments. Moreover, our cleaning professionals are rigorously trained in the practices of international level and hands-on various elite projects including hi-rise scraping commercial buildings and apartment complex. Each project is a new challenge for us. And so for each project, we use a different approach the right practices and equipment. To ensure job gets completed safest and efficient way. That is what enables us to achieve hundred percent customer satisfactions. Customer satisfaction is a driving force for us and it helps us to deliver best cleaning. So our cleaning strategy includes the best of tactics and ways that work and we choose them after an intensive brainstorming. As professional commercial window washers in San Diego, we give assurance of a hundred percent customer satisfactions. If you not satisfied with the result, we will re-clean! Cleaning solution and equipment used for cleaning play a crucial role. Also, it is related to the health of people. So we only use the highest quality cleaning solution which is approved to be safe to humans and environment as well. Our focus is on cleaning in an eco-friendly way. So we do not use any substance or chemicals that have a detrimental impact on the health or to the environment. Also, our equipment is well maintained and thoroughly checked before we use every day for cleaning. Thus, we are able to clean without any damage to your property. As a pioneer in professional commercial window cleaning, we serve a wide range of businesses across Vista, Poway and other neighboring parts of San Diego. With state of art infrastructure and sophisticated computerized scheduling system, we are able to work on any projects including most challenging. Whether it is a small building or a multi-story one, we have expertise in handling any cleaning project with the highest level of professionalism. And within a deadline! So whether you need professional window cleaning or pressure washing, SKYCLIMBERS Window Cleaning will be the best choice within your budget and top notch service. We serve several leading business establishments across San Diego and Vista, Poway with best-in-the-class window cleaning services.